Our AAC preview proved to be one of the most accurate ones in the country last season. Our AAC East predictions were the most accurate according to Stassen. Offense: The rushing attack sees Marlon Mack departed but don't expect the Bulls to let up. D'Ernest Johnson totaled 14 TDs last season in a variety of ways. He will get first look to replace Mack. 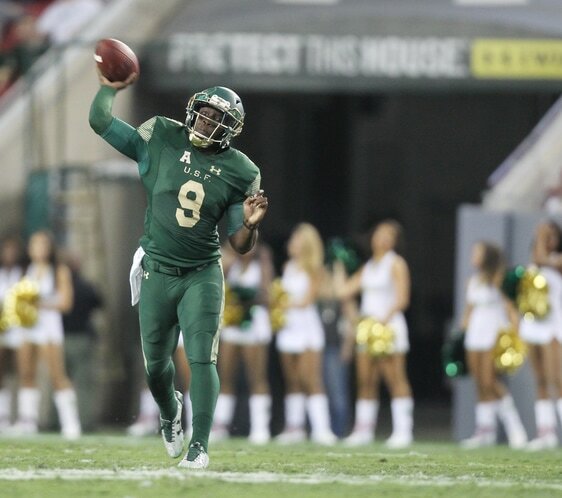 QB Quinton Flowers had over 1,500 yards on the ground last season and added 18 TDs. Flowers also threw for 2,812 yards with 24 TDs. He will have McCants and Valdes-Scantling at WR. Don't be surprised if freshman, Kevaughn Dingle gets into the mix as well this season. The offensive line is one of the best in the league. Cameron Ruff will set the tone at Center. Defense: Not much defense was played by the Bulls last season. They gave up 482 yards per contest. With Strong in and Brain Jean-Mary it is hard to see this defense continuing to be that bad. The good news is they have nine starters back. Six of those being seniors. Many of these starters are now on their 4th defensive coordinator. The best of the bunch is Auggie Sanchez who year after year has produced at LB. He totaled 120 tackles last season. The front four returns all four starters. Look for Kirk Livingstone to make a big jump after starting every game last year as a freshman. The secondary will prove to be one of the top three secondary's in the league. Deatrick Nichols had four INTs last year. Safety Tajee Fullwood, safety Khalid McGee and CB Ronnie Hoggins were top 7 in tackles last year. We don't know much in terms of improvement about kicker Emilio Nadelman. He only had 7 attempts last season. Jonathan Hernadez returns for his final season at punter. D'Ernest Johnson should be back returning kicks after a good 2016. 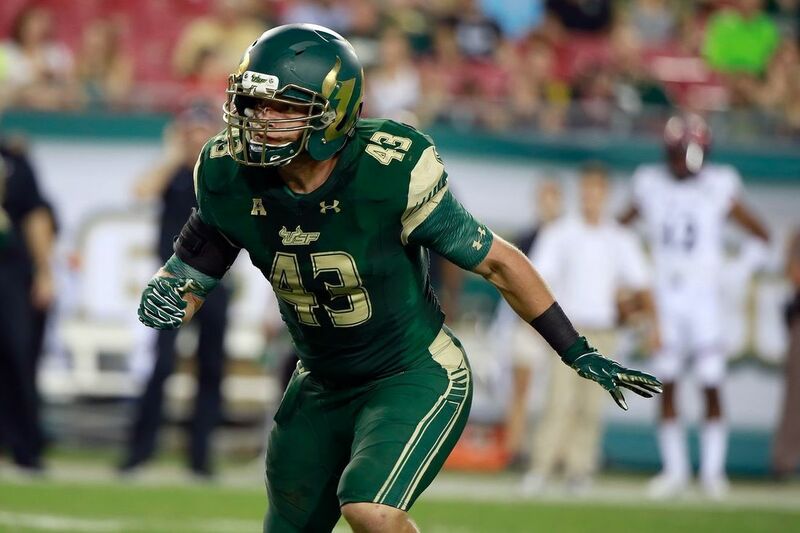 Final Thoughts: USF will sit back at the top of the AAC. Flowers will be too much for teams to handle. The defense will be much improved with the new coaching staff. They get Temple and Houston at home this season. They avoid Memphis all together until the AAC title game. (Spoiler Alert). Final game at UCF will be massive! An undefeated season isn't too far of a reach. Offense: Offensive production went way up in year one with Frost. At this point McKenzie Milton will be under center to run "UCFast". Milton as a freshman had 336 attempts. His numbers won't amaze you but as a freshman you can get away with it. This season he will need to show progress. A few of his top targets are back including Tre'Quan Smith. Last season Smith caught half of Milton's TDs. Two freshman to watch for this season are Emmanuel Greene and Marlon Williams. The running game will need to be more effective this season. The Knights were 47th in attempts but 104 in YPG. Jawon Hamilton and Adrian Killins Jr made due as freshman now they, like Milton, need to elevate. The main area of concern is going to be the offensive line. If they don't produce this offense could be right around the same numbers as last year. 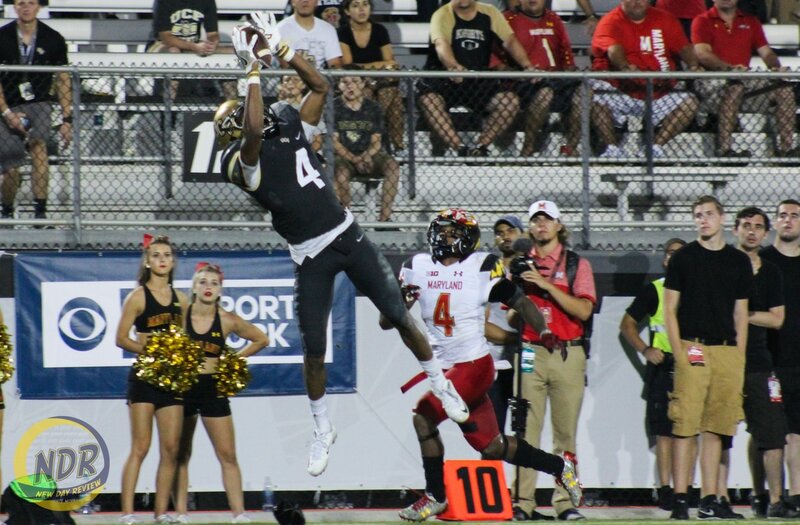 Defense: Central Florida is stacked on the line. All three starters are back. If you want to see why this team went from 0 to 6 wins that is why. 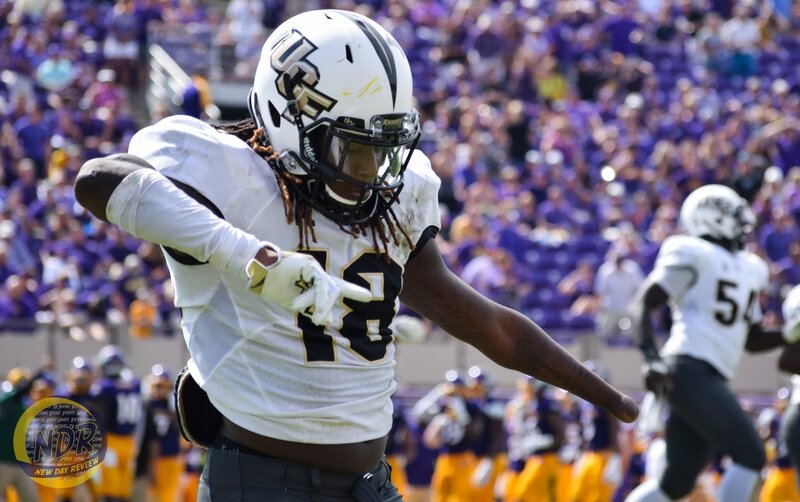 Well, Shaquem Griffin had something to do with it too. He led the team in tackles (92) and sacks (11.5). The depth at LB is very young so if injuries start to pile up you will see some new faces. The secondary welcomes in Alabama transfer, S, Shawn Burgess-Becker. For this defense to continue what they were building last season he will be a key factor. Brandon Moore and Rashard Causey get first dibs at CB. Special Teams: Matt Wright only missed 5 kicks last season. Mac Loudermilk is in at punter. Adrian Killins Jr. will get fans out of their seats for a breakout return. Final Thoughts: The offense will take a step forward this season. To have them second in the East they better. Four starters return on defense but they have the right pieces returning to make it work. Second game of the season is a true test to see where they are, Memphis is the real deal. Offense: A few key departures leave fans wondering. QB, PJ Walker was under center for over 3 years and RB, Jahad Thomas also departs. Thomas will be the easier of the two to replace as Ryquell Armstead turned in the better season numbers wise. The line returns 3 of 5 starters to pave the way. QB is wait and see at this stage. Logan Marchi and Frankie Nutile are the front runners. Don't be surprised to see both players early on. They will have several good options to throw to though. Keith Kirkwood and Ventell Bryant are the real deals at WR. Add in Adonis Jennings and you have the best WR combo in the league. Defense: Now we get to what Temple does better than most teams in the country year after year, defense. The bad news is only four starters return. The positive is 3 of the four starters are in the secondary. A secondary that ranked 3rd in YPG. The middle of the defense will tell the tale for this defense this season. What usually is their top unit is now the weakest. In the two deep you will see a lot of youth. Don't be surprised if they are all sophomores. To get an idea of the inexperience, Jared Folks is the top returning tackler from this unit, he ranked 12th last season. The line will take a step back but with all the upperclassmen they will be fine. Jacob Martin will need to up his game this season. He is the teams top returner in terms of sacks with 2.5. Special Teams: Austin Jones has had a great career so far at kicker. Aaron Bounmerhi handle place kicking duties last season when Jones went down but is the primary punter. 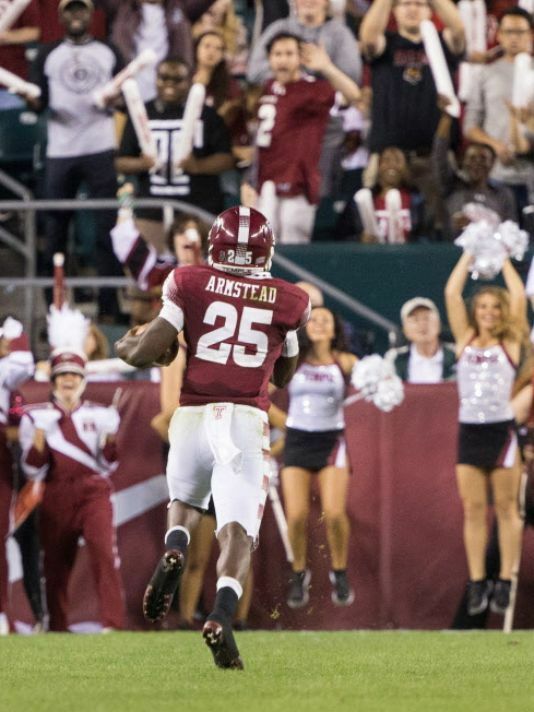 Final Thoughts: I have been the biggest Temple supporter the past few years but this year I will take a step back. The QB situation has me worried, very worried. The defense will have to take a step back but they will be good enough to keep them in games. The AAC schedule gods were not kind to the Owls. Houston and Navy are the crossover games. USF and ECU on the road. Best of luck with that slate. Offense: If things turn around for the Pirates point to the running game. Last year ECU ranked 110th in the country in rushing yards per game. Take your pick on who gets the most carries. No RB on the roster had over 400 yards last season. The line is in pretty good shape to help bolster that push for a better running game. A new QB has arrived from not too far Durham, NC, Thomas Sirk. Sirk was the QB at Duke. He is a capable runner who could add another dynamic to this offense. Gardner Minshew was the slated starter but with Sirk in town their will be a competition. 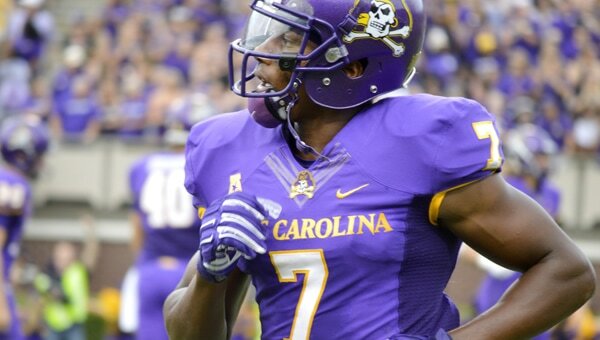 ECU always has a great WR waiting to breakout. Quay Johnson is going to be your guy. WR Leroy Henley is the top prospect for the Pirates. 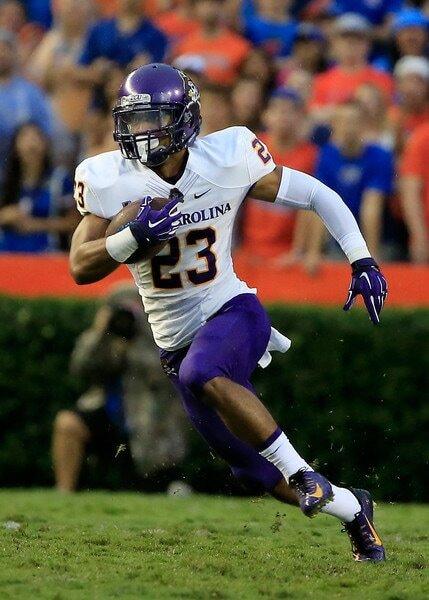 Maybe, he will emerge as the next big thing at ECU. Deondre Farrier had 21 receptions as a freshman. At the end of the day ECU was putting up yards but just couldn't score. Turnovers have got to come to a halt as well. Defense: Must create turnovers. A -16 TO Margin will not produce wins, ever. Without pressure up front they will be back near the bottom in turnovers. The four man front could help. The returning players on the line didn't provide one sack last year, not one. Two starters are back. Tyree Owens, a JUCO transfer, will need to provide a huge impact. Jordan Williams is the best player on this side of the ball. He led the team in tackles and sacks last season. Ray Tillman should be fine next to him in his final season. The secondary is strong. CB, Colby Gore and FS, Travon Simmons are the core of the unit. Add in Auburn transfer, Tim Irvin at SS and you have a top 4 secondary in the conference. If you see Irvin get AAC accolades at the end of the season don't be surprised. Special Teams: Jake Verity will hold both kicker and punter position. He only had two FG attempts and not a single punt. If he fails, watch out. Final Thoughts: Last year I projected the Pirates to have a down year. After the win over NC State, I thought I was wrong. Well, they went on to win one game after that. This season, I am back on the positive side with ECU. The offense should be improved with a better rushing attack. The defense should benefit from this as well. The front four has me concerned but expect a more successful defense. The big question? Can they continue their streak of beating at least one ACC team every year since 2013. 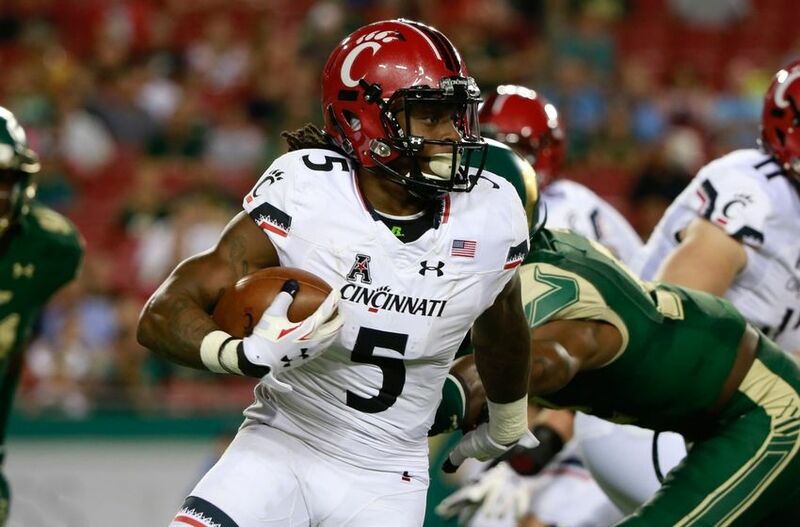 Offense: The Bearcat offense was almost the worst in the country last season. New OC will hope to bring new life to a stagnant offense. QB, Hayden Moore has shown promise in his time with the Bearcats. He will be able to hand the ball off the RB Mike Boone, who was injured most of last season. The downside for Boone and Co. only two members from last year's O-line are back. The wildcard is former Buckeye Torance Gibson. A former HS QB who switched to WR in Columbus. That was short lived as he is now playing JUCO ball. The rest of the receiving group has promise. Devin Gray is the star of the show. Kahlil Lewis is the other returning starter. Don't be surprised if you see a lot of youth the in the 2nd unit get playing time. Defense: All things considered the defense wasn't that bad last year. Five starters are back. Two of them reside on the line including DT Cortez Broughton. Broughton earned 2nd team all-AAC honors last season. 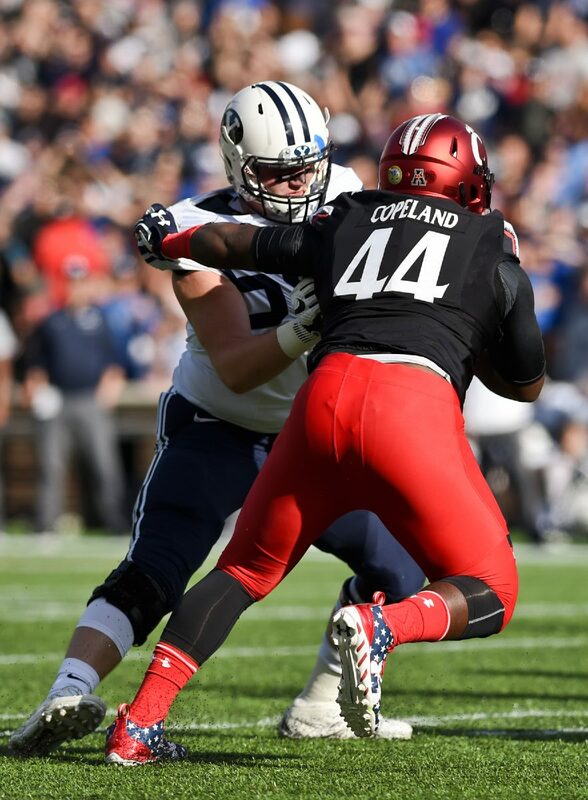 Marquise Copeland isn't considered a starter but he led the team in tackles from his DT spot. Senior Jaylyin Minor will start at MLB. Minor will have to set the tone early for this unit to have success. Here's another spot where by the end of the year the linebacker group could look totally different with plenty of youth in the wings. The secondary does have a good amount of depth at DB. Alex Thomas returns with four interceptions last season. Special Teams: Andrew Gantz will return which is great news. He is going to go down as one of the best Bearcat kickers by the end of the season. A new punter, James Smith, is in after a transfer from Sam Geraci. Final Thoughts: The defensive line will be much better than what people are expecting. They will have to be good in order to keep this defense in check. The offense will improve. Hayden Moore should feel comfortable after last years QB fiasco under Tubberville. How they look come November 4th will be telling. The schedule let's up then. Offense: Well Bob Diaco is gone which means the offense has a chance to be decent. The Diaco led offense put a whooping 14.8 PPG last season. Seven happy returning starters are ready for change. QB Bryant Sherrifs seems like the likely candidate for the number 1 spot on the depth chart. He has been the starter for the Huskies the past two seasons. Noel Thomas is gone after pulling in 100 balls in 2016. This year's leading receiver is also the leading rusher, Arkeel Newsome. 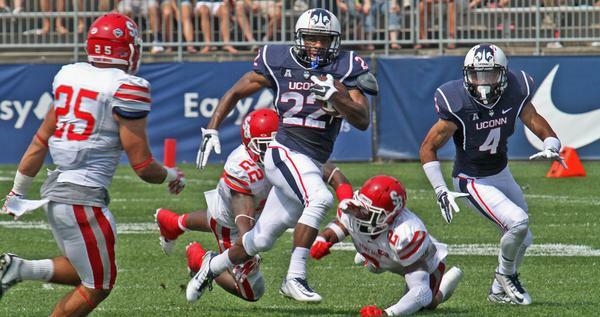 Newsome is the one player that could breakout this season and make a huge difference for the huskies. He will be running behind an experienced line. The goal should be to get him 25-30 touches a game. Defense: The defense has had positive moments over the past few years. This year they should be even better. The linebackers are some of the best in the conference. Vontae Diggs and Junior Joseph combined for 153 tackles last season. They will miss E.J. Levenberry who was a player that who could apply a lot of pressure on the QB. The switch to 3-3-5 brings back all three starters on the line. Cole Ormsby returns with 4.0 sacks and 11.0 TFLs. The middle will be plugged with 6'4, 310 pound, nose guard, Folo Fatukasi. The secondary will take a hit with S Obi Melifonwu leaving for the draft. Jamar Summers is the lone returning starters. This will be an area to watch in fall camp. Special Teams: A new punter and kicker will be playing this year in Storrs. Freshman Brett Graham will start at punter. Micheal Tarbutt has one field goal attempt for the huskies in his career. Final Thoughts: There's no doubt that UConn will top their near 15 ppg from last season. Arkeel Newsome will end the season with his best season ever. The defense has a chance to be really good if the secondary can fill holes. The biggest problem for UConn? The schedule. Three AAC wins is the max. Hey, you have Randy Edsall back and that has to bring back some good memories. 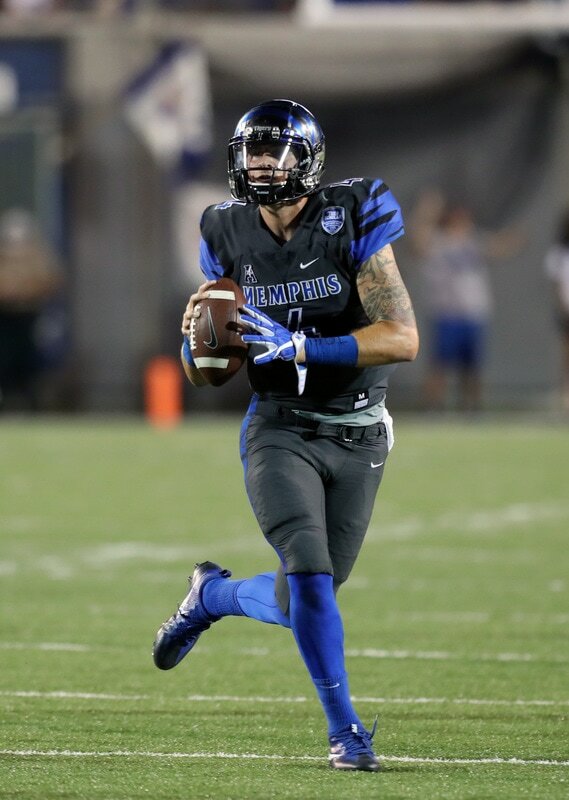 Offense: The Memphis offense is loaded. They have talent at all facets of the offense. With Riley Ferguson under center the Tigers are destined for great things. Ferguson had 32 touchdowns with only 10 interceptions a year ago. His top target Anthony Miller is back after hauling in 95 balls last season. If the Tigers need to go down the field they will look for Phil Mayhue. Running back features a few players that could get carries but Donald Dorceus is the top returner. He had 9 scores last season and averaged over 6 yards a carry. 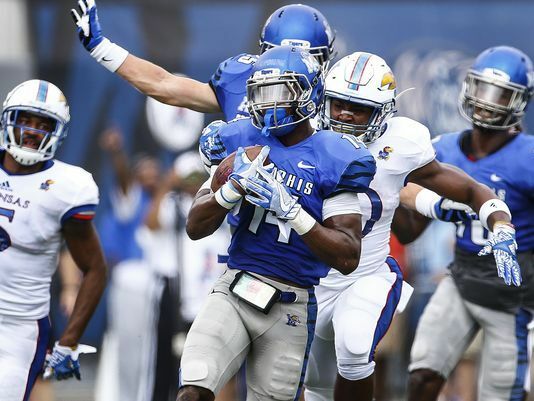 Two sophomores are behind Dorceus, Patrick Taylor Jr and Darrell Henderson. The offensive line returns four starters. The lone open spot will be filled by Harneet Gill. Defense: The Tigers don't have a lot of weaknesses but the defensive line is one of them. Two starters return to the 3 man front. Jonathan Williams made noise in his freshman season at nose guard. His performance could be the key to this front. We will move from a weakness to a strength. The linebacking corps is tops in the conference. Gerard Avery made plays all over the field. He leads the team in interceptions, sacks and tackles for loss. Curtis Akins and Austin Hall return as well. Jackson Dillon will fill the KAT role after being injured last season. At first the secondary looks to be depleted but if you dive into it they will be good here. Safety Jonathan Cook returns. He had 88 tackles last season. Two former corners from Oklahoma have joined the team. Four star commit T.J. Carter is also in the mix at corner. Special Teams: Jake Elliot is going to be nearly impossible to fully replace. The Tigers do however have a promising kicker, Riley Patterson on campus. Tony Pollard will look to make noise again in the return game. He had two to the house last season. Final Thoughts: I am all in on this Memphis team. There isn't a team on the schedule that they can't beat. The offense has all the fire power you could ask for. The defense could make big improvements over last years team. They will face Navy at home and Houston on the road. Those games will be huge in deciding the West. Greg Ward Jr. is gone. In comes a new wave of QBs including former 5 star recruit Kyle Allen. Allen is the front runner for the spot but don't count out D'Eriq King's potential. The line has plenty of experience but was hit hard with injuries a year ago. Their health will be key for this team. The skill spots feature two great WR options in Linell Bonner and Steven Dunbar. Bonner had nearly 100 receptions last season. Don't be surprised if Dunbar breaks out for a big 2017. The running back position is not a positive. Duke Catalon led the team with only 528 yards. That will need to change this season with the absence of Ward. ​Defense: Talk about a freshman making an impact. 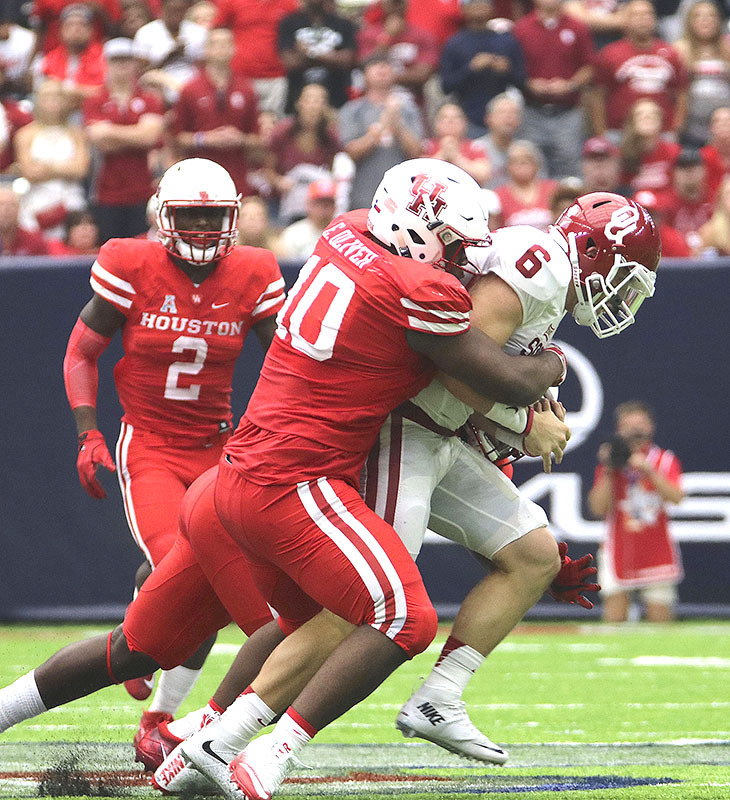 DT Ed Oliver had 23 tackles for loss. Tied for second in the country in that category. While the defensive line will be in good hands the linebacker unit is depleted. Tyus Bowser and Steven Taylor really set the tone for the team last season. They will likely be replaced by two seniors but don't count out the young linebackers in the wings. Senior OLB, Matthew Adams is the teams top returning tackler. Houston has had plenty of talent come through the secondary the past few years. They have three starters back this season. No one on the roster had an interception though. That will be one factor they will need to flip as the Cougars ranked 110th in turnover margin last year. Special Teams: Dane Roy is back at punter. So far so good for the 28 year old Aussie. The kicker position will be decided in fall camp. Final Thoughts: Last season's 9-4 record was a bit of a disappointment considering they beat Oklahoma and Louisville. All of their regular season losses came to AAC opponents including a beat down by SMU. The Cougars have a chance to top 2016 record. They have the talent on both sides of the ball to make it happen. Kyle Allen should transition well at QB. Ed Oliver is a NFL talent that still has two full seasons left. They draw Navy, SMU and Memphis at home. They have to face East opponent USF on the road though. 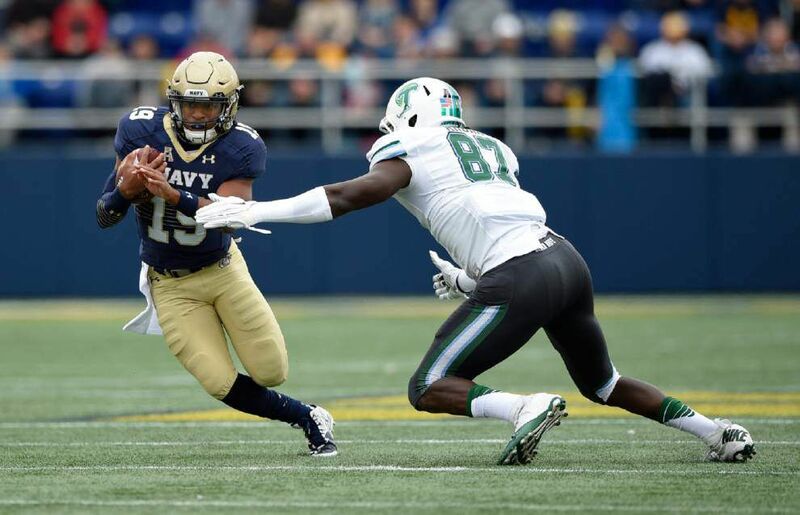 Offense: With 8 starters gone things look a lot different at Navy. Zac Abey has very little experience at QB for the Midshipmen. Getting number one reps in spring and fall camp should get him up to speed. The line in front of him only brings back 2 starters but they have experience in the other three spots. Running back is not as strong as it has been in the past. Chris High is back at fullback. He found the end zone 7 times last season. Darryl Bonner will be a threat in the run and pass game. 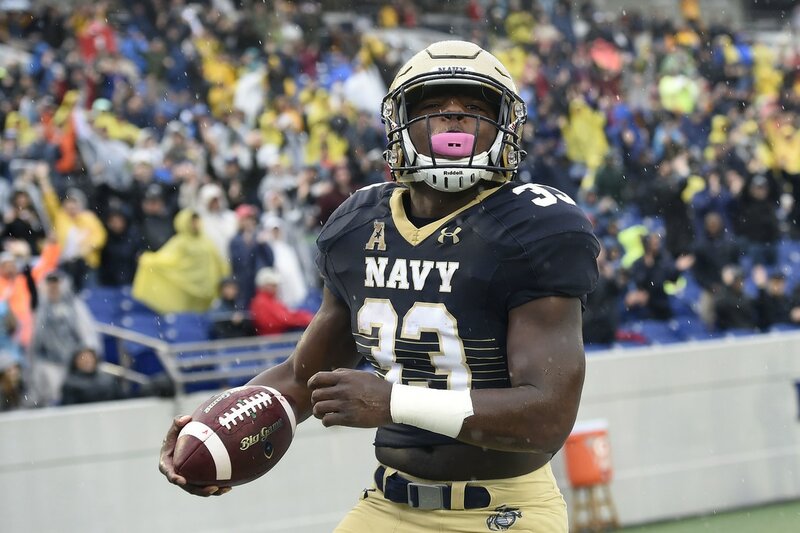 You may remember hearing about Navy pulling a player from the stands to play last season. That was Malcolm Perry, he will see time at SB this season. One of the biggest wholes on the team is at WR where their go to WR, Jamir Tillman, has graduated. The three receivers that recorded a reception last year only caught a total of 14 balls. Defense: Jarvis Polu has plenty of experience on the defensive line. He totaled 53 tackles, 3 sacks and 4 tackles for loss last season. Tyler Sayles will be at RE and Jackson Pittman a sophomore at NG. Pittman is one of the few players on defense that weigh out over 300 pounds. The secondary struggled last season. Three of the four starters are back but the issues are at corner back. CB Tyris Wooten is the teams leading returner in interceptions. As a freshman safety, Alohi Gilman was second in tackles. Strong safety, Sean Williams, was third on that list with 74. The top defensive unit is linebacker. Micah Thomas totaled 107 tackles and is the leader of the unit. D.J. Palmore led the team in sacks with 6. ILB Hudson Sullivan played in 12 games last season as a sophomore. Special Teams: Bennett Moehring only got 10 field goal attempts last season and he made 8 of them. He will likely be called upon more often with the inexperience across the board. Erik Harris will move in to the full time punter spot this season. 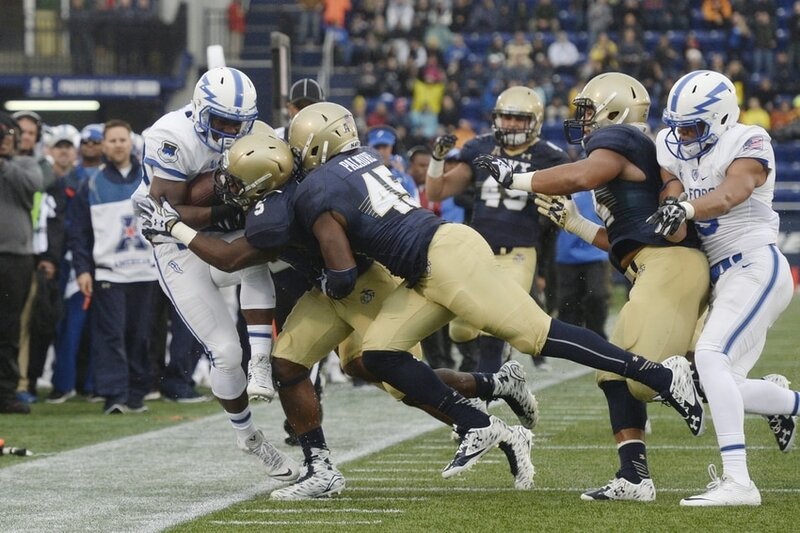 Final Thoughts: Navy only had one AAC loss last season but they went down to both Army and Air Force. QB Zach Abey has a lot of pressure. The defense should be better this season. The conference road schedule will make it hard to repeat as AAC West champs. Offense: SMU needs Ben Hicks to be the guy. 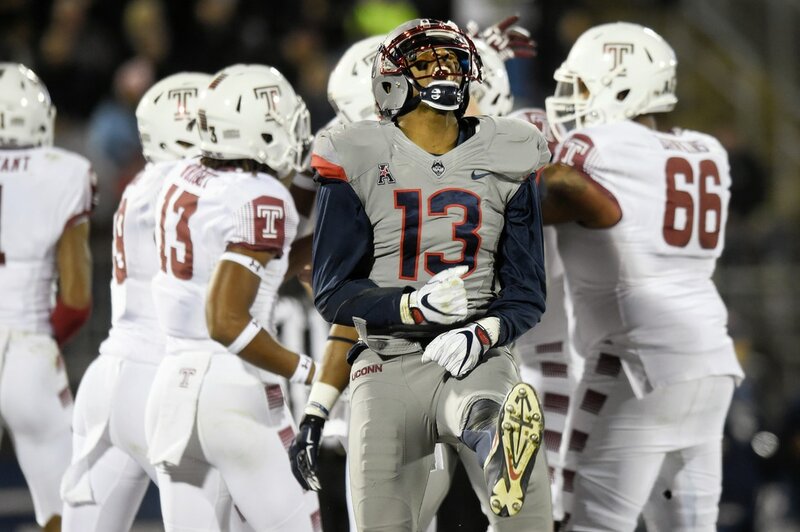 Last season Hicks showed flashes of being that guy but he also had major turnover problems. If he can at minimum, cut down on his 15 interceptions SMU could make a push at top three in the West. If his turnover problems continue they have JUCO transfer, D.J. Gillins and Arkansas transfer, Rafe Peavy, waiting behind him. He will have two great receivers to throw to in Courtland Sutton and James Proche. Proche in his freshman year found the end zone 6 times and caught 57 balls. Sutton is a star he had over 1,200 yards and 10 scores. They invite Trey Quinn in as the third guy of the unit. He formerly played for LSU. The left side of the line is back. 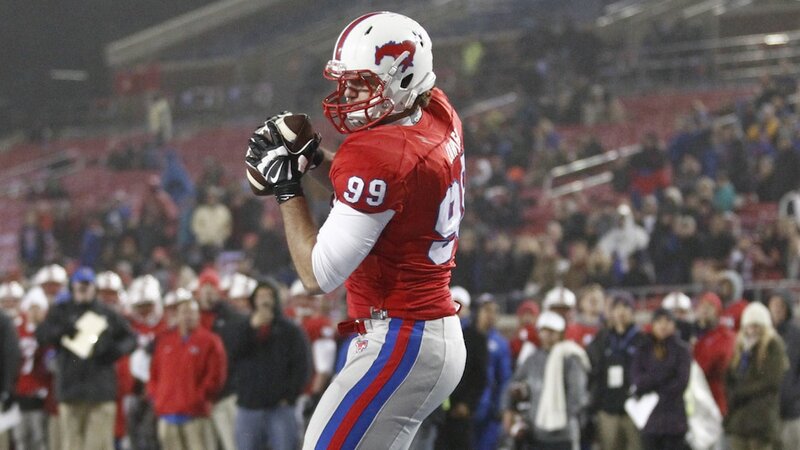 SMU also returns center, Evan Brown, who grades out as the best in the conference. They will pave the way for Braeden West. On just 202 carries he broke 1,000 yards. Justin Lawler is the leader of the defense. The past two seasons he has combined for 11 interceptions. He is constantly in the backfield and it shows with his 15 tackles for loss last year. the Mustangs would like to see some one in the middle of the line emerge. That should be Demerick Gary who enters his sophomore season with some experience. The secondary and linebackers have to improve. Four of seven starters return between the units. The good news is they produced 18 interceptions last season. The bad news is they are relying on turnovers not stops to get the ball back which is hard to duplicate. Kyran Mitchell led the team with 67 tackles. Those numbers will need to improve in his junior year. Special Teams: Josh Williams is back at kicker. Jamie Sackville will look to improve on his first season at punter. 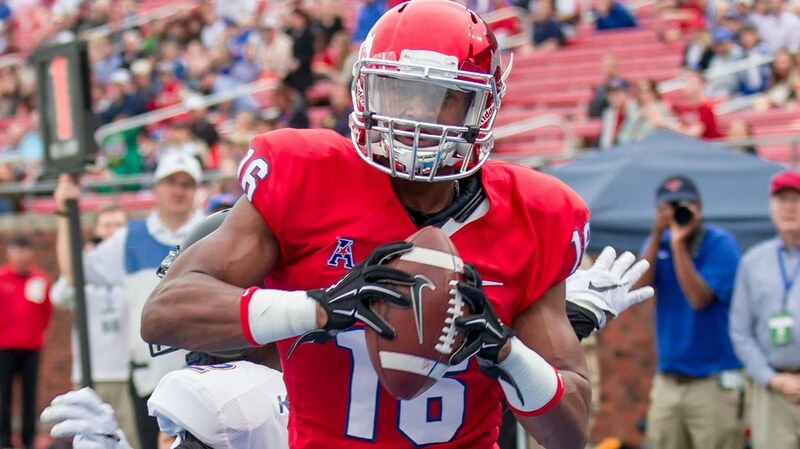 SMU ranked 120th in return yards. If they could flip the script in that department it would go a long way. Final Thoughts: This is a sleeper in the West. The problem for Chad Morris is he draws, Houston, Memphis and Navy on the road. The QB situation will work itself out. Defense can't just rely on turnovers this season if they want to make the jump. A bowl game should be in their future though. Offense: Tulsa put up monster numbers last season. They had some key departures but the running game should still be dominant with four starters back on the line. Last years leading rusher D'Angelo Brewer returns as well. The wide receiver unit has talent. Justin Hobbs and Keenen Johnson are the headliners. Several players will contend to be the next big WR at Tulsa. The main issue is QB. 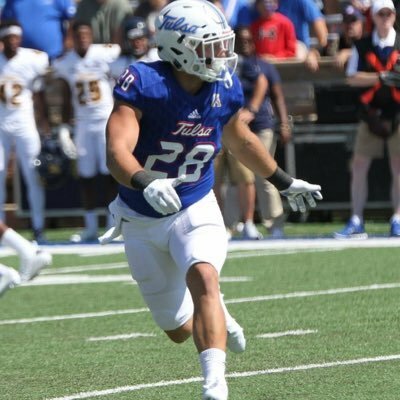 Dane Evans did an amazing job at Tulsa. He gave them a chance to win every game last season (OSU until the rain took over). Luke Skipper and Chad President will battle it out in the fall to see who will get the week one start. President was a four star recruit out of high school. Defense: Seven starters are back on defense. They lose a lot of key players from 2016 team though. Craig Suits has had a great career at Tulsa. He will look to put forth his best effort in his senior season. Four starters are back in the secondary. The unit struggled last season. If the depth can improve so should the unit. The line returns both defensive ends. Jesse Brubaker has proven that he will be a force but what happens at DT will be the deciding factor for this defense. Sophomore Shemarr Robinson got some action last season but he will get more reps this season. Special Teams: Thomas Bennett comes from Baylor to punt for the Golden Hurricanes. Redford Jones is one of the top kickers in the conference. With the talent that Tulsa brings in at WR they should have a good return game year after year. Final Thoughts: It all comes down to the QB play on offense. The pieces are there but if one of the two options don't emerge this season will fade quickly. The defense doesn't have me convinced that they will make enough plays to keep them in games. Last season they could get away with the amount of points they gave up. This year I don't see it. The schedule doesn't help. They will face top teams in East division as well as having to play in the difficult West. Craig Suits, LB, Tulsa Photo via Twitter. Offense: Two things that have to be great for a successful season, QB and offensive line. Without these two positions having success Tulane will have another last place finish. The line brings back experience but are they the right bunch for Willie Fritz. Getting back center Junior Diaz will certainly help. Three players have a shot at QB. Both Glen Cuiellette and Jonathan Brantley have the experience. Former four star recruit Jonathan Banks will make a strong push for the starting spot but his in experience in a complex system may have him on the outside until he gets comfortable. The passing attack was near last in the FBS last year. It will likely be again due to the system that the Green Wave run but they need to pose a threat. Terren Encalade is that guy. On 36 catches he totaled 500 yards and 6 scores. The rushing attack will feature Dontrell Hilliard as the top guy. They will go deep into the depth chart here as they run the ball often. Defense: The secondary was impressive last season. They only allowed 205 yards per game. They return three starters including Parry Nickerson who could earn first team accolades this season. The secondary was helped out by Tanzel Smart and Nico Marley who totaled 32.5 TFL last season. Those numbers will be hard to replace. DE Ade Aruna has the talent to put up big numbers. This defense looks really good until you get to linebacker. Zachery Harris only had 45 tackles last season in 9 games. Depth is an issue here so an injury or two could make things rough. Special Teams: Kicking has been a sore spot for the Green Wave. This fall they will decide who the new kicker will be. Zachary Block should be better in his junior season. Final Thoughts: The AAC West is really difficult to predict. Tulane is a team that in the East I could see having chance to be top 4. With the schedule this season it is hard for me to find wins that I am confident in though. 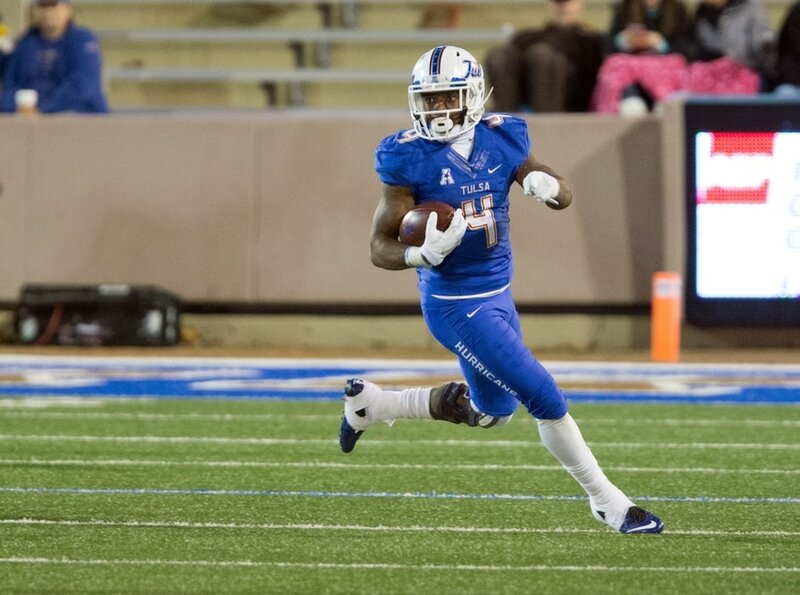 Home vs. Cincinnati, Tulsa are their best chances for AAC wins. 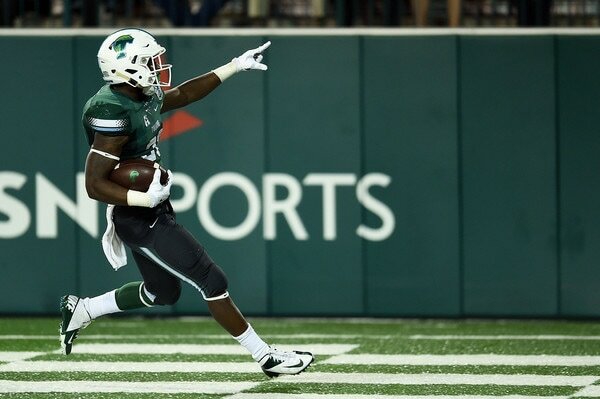 Tulane is one team that will be hard to predict this season.